Do you ever feel stuck because of other's expectations of you? Learn to embrace your authentic self and let go of fear. Only then can you step out in bravery, confidence, and brilliance. "I could never pull that off!" How many times have we heard that? How many times have we felt that? Well, if artist and musician Julianna Zobrist had a dollar for every time she heard that, she'd be worth her weight in gold. 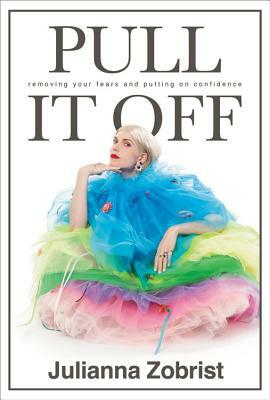 Notorious for her daring fashion and bold creative perspective, Julianna digs deep into her own life to expose why we feel we can't "pull it off." Whether it's fashion, creative expression, parenting, marriage, or daring to go 100 percent at a career, the greatest negative force you will fight against is yourself.